As wedding photographers, we take our role as photojournalists pretty seriously. We know that on wedding day, we are not only hired to take gorgeous portraits, but also to capture the events as they unfold naturally. We are artistic storytellers. 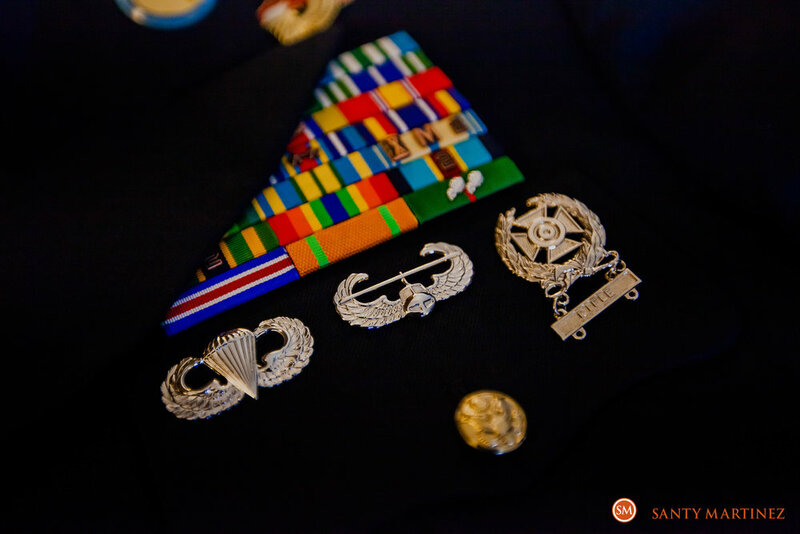 Our hope is that our images may one day bring our clients back to the moment – as they happened. And with so many special moments that occur during a wedding, our experience allows us to anticipate them. 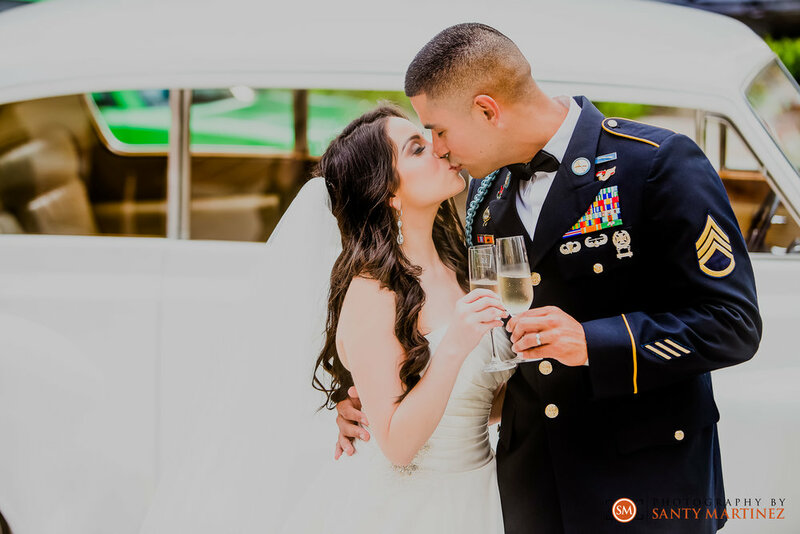 Special moments like the ones on Alejandra and Anthony’s big day. As with most weddings, the event actually starts way before the guests arrive to the ceremony. 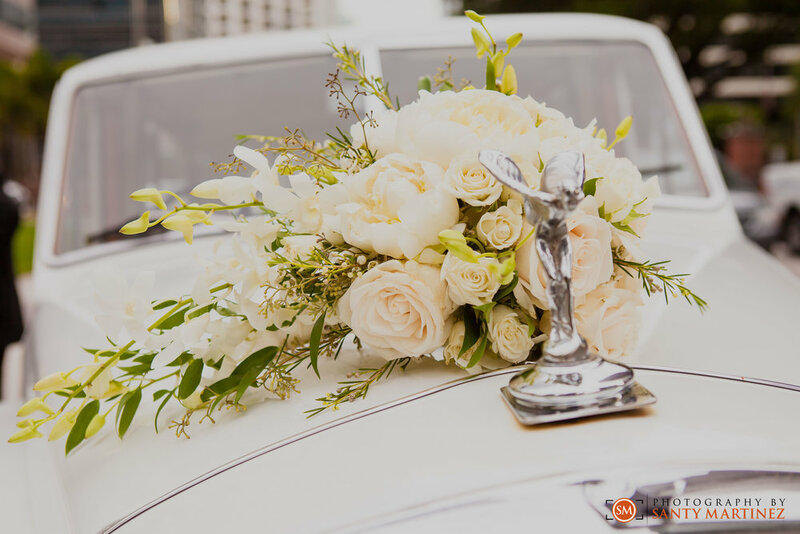 With a room full of bridesmaids and make-up artists on one end and groomsmen at the other, the bride and groom begin their day prepping for their big moment with friends and family by their side. It’s the bride slipping into her white gown and the groom buttoning up, in this case, his uniform. These moments are just as important for us to capture – it sets the stage for what’s to come. 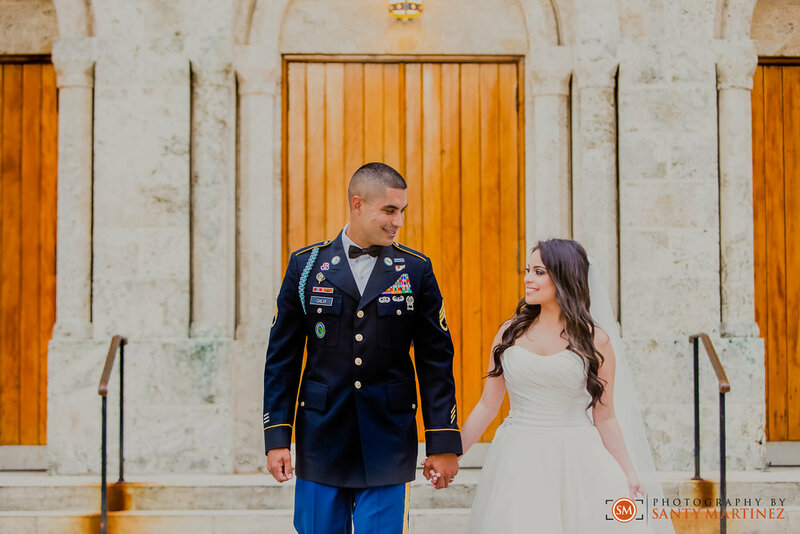 Their friends and family gathered at First Miami Presbyterian Church in the heart of Downtown Miami to witness Alejandra and Anthony exchanging their vows. It was full of traditions and sprinkled with personal touches – such as their vows. The ceremony was simply perfect. 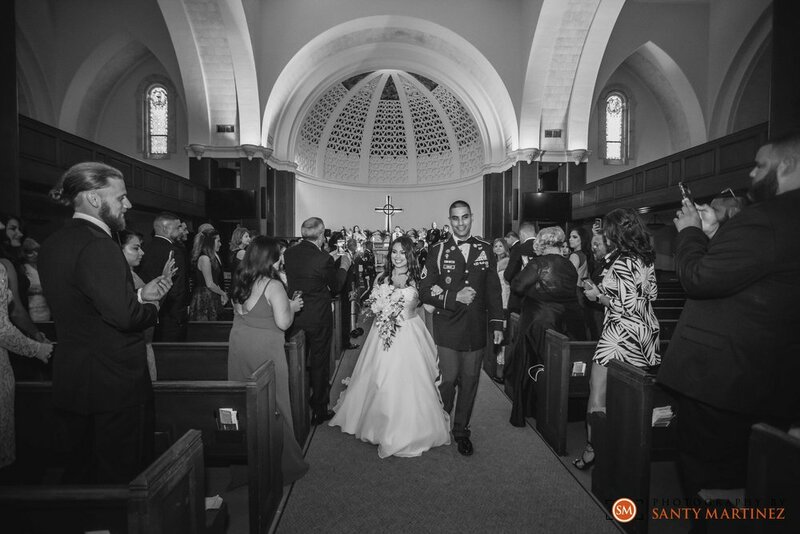 Accompanied by their military court, their exit from the church was nothing short of spectacular. After the ceremony, the couple allowed time for us to capture their wedding portraits. This is perhaps one of the only times during the day where we, the photographers, give our couple direction on how to pose. It’s not every day that couples are in front of a camera so it’s important that we make them feel comfortable and have a rhythm of poses so that the images look candid and happy. Our goal is to keep our couples smiling so that we can deliver natural looking photographs that document the first day of their marriage. Once we were done with portraits, their classic getaway car whisked Alejandra and Anthony just across the bridge to the beautiful Jungle Island where they continued the festivities. There, we continued to catch those special moments – the first dance, the toasts, the dancing! All the elements that make their wedding story special… we were there with camera in hand. Please join us as we wish this special couple a lifetime of joy!